The field is set, thanks to everyone who participated in the play-in round voting. Are there any upsets waiting to happen? How many Batmen are too many Batmen? Have any of the box office bombs made enough fans since to bump a bigger hit? 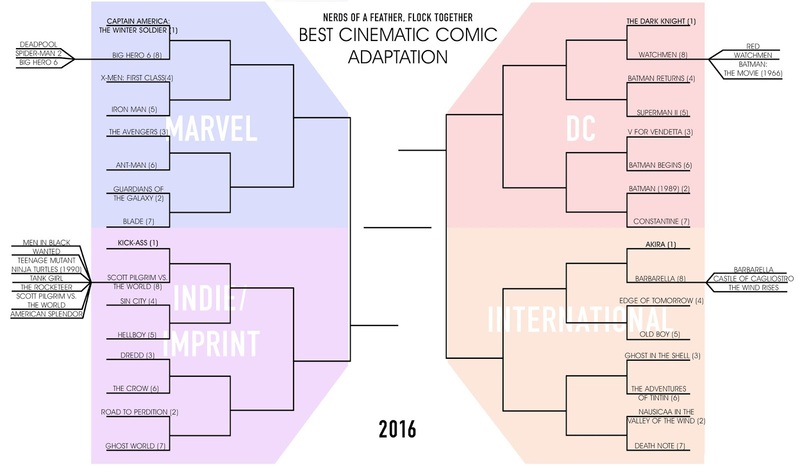 To recap: We invited all 13 of our writers to nominate their favorite big-screen comics adaptations in the Marvel, DC, Indie or Imprint, and International Regions. For the International Region, our requirement was that the source material originate outside of the U.S., even if the adaptation did not. 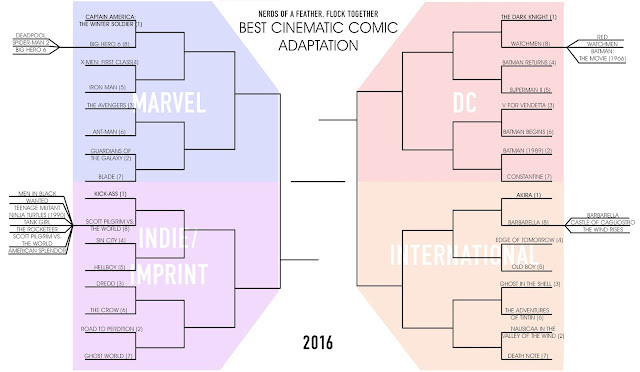 From there, based on a point system built on the number of mentions for each movie and literally hundreds of emails between the team, we narrowed down the field. In the end, we got the field set and seeded based on everybody's input, and the public voting in the play-in round set the final spot in each Region. Vote as many times as you like, and spread the word. Argue with everyone! We will post the final results of Round 1 and open Round 2 for voting next Monday.